Early evening and a few around the bar area, great atmosphere in this cosy drinkers pub, I could've quite happily stayed here and worked my way through the selection. Fyne - Avalanche 4.50 Barman's recommendation on a light hoppy ale and it didn't disappoint. Early evening - quiet in the main bar (except some excellent music from the traditional juke box). A few customers in the back. Good chat with the barnan about the attempt to save the Two Doves in Canterbury. Moor - PMA (Pale Modern Ale) 5.30 Absolutely splendid - and very bright for an unfined ale. Three Sods - Mon Cheri IPA 4.50 A very nice, well balanced IPA. In for a swift one. Nice and relaxed. Otter - Bitter 3.60 Lovely. Lunchtime- very quiet until after 2 hen it started to fill up. I went through the board here for the first time (albeit on halfs). Good selection as usual. Ramsgate Brewery (Gadds') - No. 7 3.80 Perfect pint. Stealth (formerly Kennet & Avon) - Ambush 4.50 Lovely dry, crisp ale. Redemption - Rock the Kazbek 4.00 Hint of apricots? Wild Weather - King St Pale 4.20 So cloudy it looked more like a cocktail. Fruity. Oakham - Bishops Farewell 4.60 Not Tried Taken off - just finished less than 48 hours of going on apparently A sip confirmed. Early evening - very few in at first - had a good chat with the guv, Katrina. Oakham - Bishops Farewell 4.60 As expected as well - couldn’t fault it. Oakham - Citra 4.20 Met my expectations - faultless. Bad Seed - Mandarina Bavaria Pale Ale 4.50 An unfined and unfiltered ale - but very clear nonetheless. A soft, silky feel in the mouth. Lovely. Friday beer o’clock - lots of comings and goings. Rockin Robin - Rock A Hula 4.00 Nice bite to this fresh, pale ale. Westerham - Scotney Green Hop (now 4%) 4.00 A very smooth beer. Dark Star - Sunburst 4.80 Good body and cheek-sucking finish. Ramsgate Brewery (Gadds') - West Coast IPA 5.60 Spot on. Triple fff - Ramble Tamble (previously 4.6%) 5.00 Good balance of malt and hops. Conwy (Bragdy Conwy) - Yakima Grande (was Dobbin's Yakima Grande Pale Ale) 5.00 Good, complex hopped pale ale -not quite bright or would have been rated excellent. Great Heck - Christopher 4.50 Very nice dry aftertaste. Wild Weather - King St Pale 4.20 Unfined and quite cloudy - but a good fresh lemony taste. Chapter - That Old Rope 6.20 Disappointed with this - rather bland for a strong American West coast IPA. Early Friday evening - usual mix of locals and suits for this time of the week. Ramsgate Brewery (Gadds') - Summer's Day 4.30 Perfect. Thornbridge / Thornbridge Hall - Puja 6.70 Lip-smackingly good. Fresh on as the Viceroy finished. Westerham - Viceroy India Pale Ale 5.00 I had the last pint - and a bit more gratis. Very drinkable - and rated very highly by a number of other customers who bemoaned the end of the barrel. Early evening- (world cup just finished) but plenty of people here to celebrate the 10th anniversary of Katrina running the pub - free food, music and Jaipur on at “2 bloody 50” a pint. Two other real ales on as well as the five listed - Azacca and Session IPA - but didn’t note the brewers on these. This pub just gets better and better. Thornbridge / Thornbridge Hall - Jaipur 5.90 Would have rated excellent earlier in the day no doubt - but this was on its last legs (at £2.50 a pint it was going quickly. Still packed a punch. Fyne - Jarl 3.80 Not Tried Going fast. 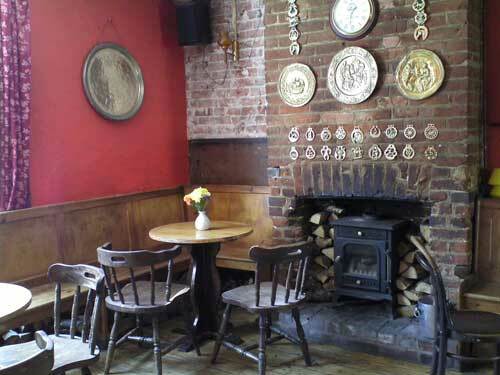 The pub is found in Canterbury, Kent, CT1 1NP. 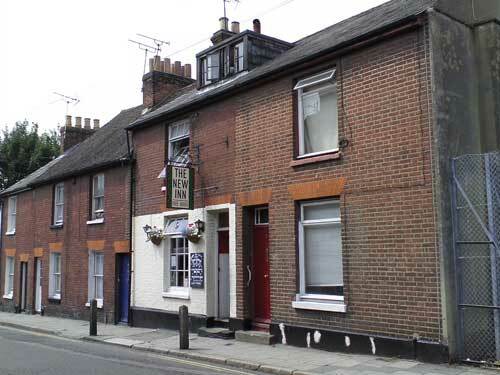 A narrow terrace house that was once a Fremlin's pub and now a freehouse. Local CAMRA branch Pub of the Year 2017 and 2018. 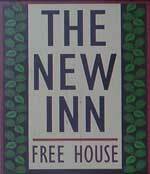 We have visited this pub 131 times, seen 302 different beers and tried 159 of them.